For three years – including the full length of the 2012 election cycle – members of Tea Party groups and other conservative voices were silenced – unable to mix it up in the political give and take. They were effectively shut up every bit as much as if a Soviet-style regime had reached out and warned them, "Ve haf vays of re-educating you, Citizen." As the IRS sat on conservative applications for tax-exempt 501(c)(4) status, similar applications from their left counterparts zipped through. The (so far) un-publicized scandal is that, although some of the victimized groups complained of having their applications held up by the government, the protests were easily sloughed off as the "What do you expect?" whine of playing the victim card. The very telling circumstance is that, as far as we know, no conservative activist or representative – with some media smarts – could find a credible open-minded journalist (yes, there are some) for receipt of documented material "over the transom" showing a clear pattern of delay, delay, delay, coupled with asinine intrusive questions such as the content of prayers. Perhaps such a journalist was found and declined lest IRS auditors knock on his door, as well. That of course would compound the outrage, and feed some of the worst stereotypical nightmares of how tax inspections are conducted. The point here is that this scandal never emerged during the 2012 campaign through the intrepid digging of some enterprising reporter. The next obvious questions are: 1 – Did that fear affect the outcome of the election? And 2 – Was the 2012 election stolen as a result of Soviet-style fear? We probably will never know. This much we do know. The pattern was ongoing for three years, though most such applications are dealt with in three or six months, or at the most one year. 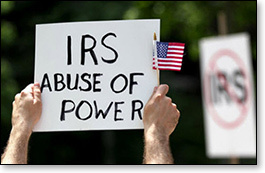 Nov. 6, 2012 & the IRS: coincidence? Readers may recall that in our pre-election series 2012: America's Last Free Election? we reviewed the book Who's Counting? wherein it was clearly shown that fraudsters have over the years refined the skill of stealing elections and getting away with it. We reported on multiple signs that they had no plans to relax their efforts in 2012. And they didn't. 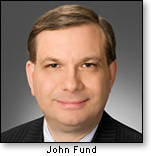 Now John Fund, co-author of that investigative volume, suspects that, given the foot-dragging, "the IRS could be directly to blame for lower voter turnout during 2012." Fund, in a National Review article, writes that he had spoken to conservative groups whose fundraising was directly affected by IRS foot-dragging on the applications, either by inaction or intrusive questioning. Moreover, some donors withheld contributions to groups that had been organized to combat voter fraud because such organizations as True the Vote, for example, had not been given the go-ahead by the IRS to qualify for non-profit status. That certification would have allowed contributors a tax deduction on their donations in time for the election. Every day, we are hearing similar reports of such harassment and targeting by the government against citizens whose only desire was to participate in our supposedly open and free elections. But how can such activism really be "open and free" if the big hand of government, in Hugo Chavez style, has its powerful thumb on the scale? Perhaps the most conspicuous figure in the IRS scandal is Lois Lerner, who has been the agency's director of its Tax Exempt Organizing Division. As a result of her role and multiple untruths about it, she reportedly was asked to resign, she refused, and is now "on-leave" with pay (courtesy of the taxpayers for whom she appears to have total contempt). Appearing before the Issa committee on the Hill, Lerner said she would plead the Fifth Amendment, but she also proclaimed she had "done nothing wrong" and had "broken no laws" – at which time Lerner walked out of the committee room, apparently assuming a sacred right to have it both ways. She of course, has a constitutional right to plead the Fifth. But when she also declared her innocence under oath, she effectively had waived that right to remain silent. She should have stayed and answered questions. Now she might face charges of perjury. But here, the story takes on an even more suspiciously questionable turn: Lois Lerner herself tossed the IRS scandal out into the public square. Why? One theory is this would divert public attention away from the Benghazi scandal. Perhaps. But really, would this not be a little too pat for any Machiavellian mind? Once the word is out that the long, coercive reach of Big Government will make your life a living hell if you try to apply for non-profit status, and also, by the way, wants the names of all your donors – what does that do to fundraising? You think that encourages contributors to your cause to open their wallets? Lois Lerner admitted she planted a question at an American Bar Association meeting that gave her an opening to admit the IRS has been hard on right-leaning organizations. She first denied having planted the question, but when caught, had to admit it. It is widely believed she opened up because it was about to be publicized anyway. OK, any other reason? Remember, the mindset "at the top" is "Never let a crisis go to waste." So, again, do you think maybe this is about chilling fundraisers for the Republicans in next year's congressional elections? At least one fundraiser for Republican-leaning groups called Rush Limbaugh to say that since the wide-open threats revealed in the IRS scandal made big headlines (now that the 2012 votes are safely counted), she has not been able to find potential donors willing to write checks. Think that's an "Oops, so sorry?" Lois Lerner used to occupy a high position with the Federal Election Commission (FEC) where, under her direction, even the content of prayers were not off limits. Prayers! That occurred when FEC was hounding and harassing the Christian Coalition. The case dragged on for years, and Lerner pursued it with an almost unprecedented tenacity until finally it ended up in court where she lost. It was Thomas Jefferson who said, "When the government fears the people, there is liberty; when the people fear the government, there is tyranny."